Look at how perfectly stunning this is! I know for certain - no matter how easy it looks I would not make it look as beautiful as you have. Simply gorgeous. This looks so good, I bet it tastes amazing! I think it would be a brilliant hand made Christmas gift too. This all looks delicious - I love the colours! Yum I've been meaning to make a Christmas bark this looks delicous. Not a great lover of nuts but when i showed this to my other half he said that he wants me to make it for him. I love making bark at Christmas too, it's great how many varieties you can make and it always goes down a treat. This recipe looks delicious, especially for nut lovers. This looks delicious, I have never had chocolate and pistachios together before. This does look just absolutely delightful Nayna, I love pistchio and chocolate as a combination. This is the perfect edible gift. 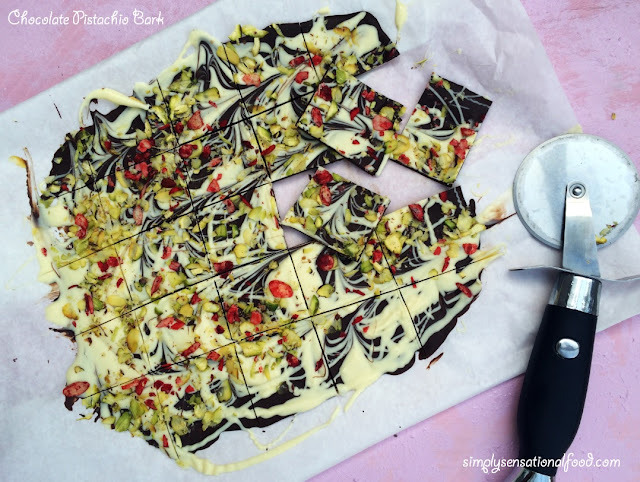 I love chocolate bark! This looks gorgeous!! I really wanted to make some chocolate bark for gifts this year! As she has said above, this is totally up Rachels street for sure. 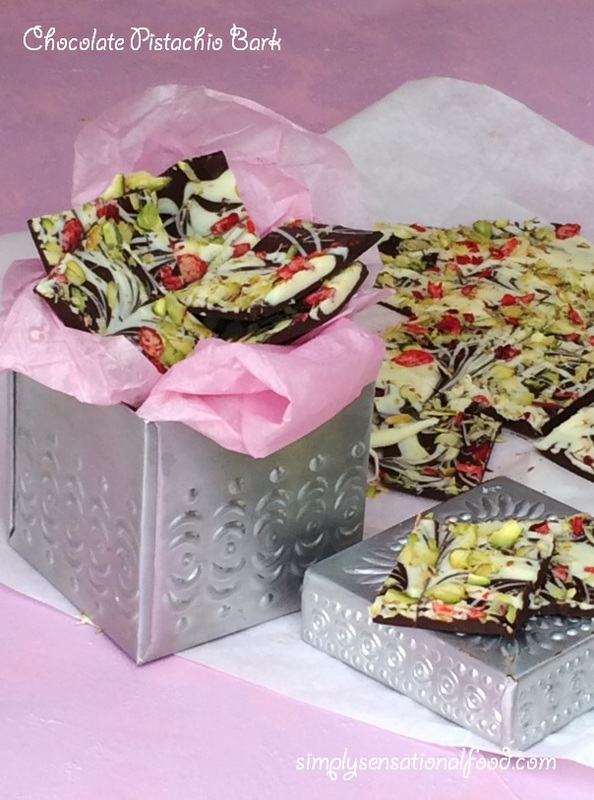 Wow, this homemade chocolate looks so beautiful and I'm sure it tastes amazing! This looks so gorgeous and it would make a great gift too if you just wrapped it up in some clear plastic! Delicious! I love making these at Christmas as gifts. 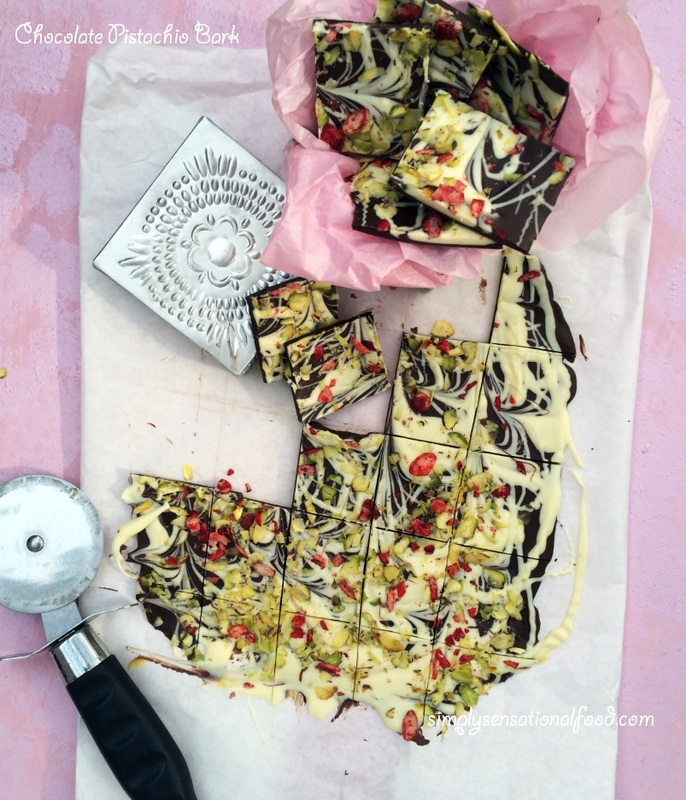 This looks amazing, pistachios are my favourite nuts. The colours look brilliant and to top it all, it doesn't look difficult to make. Wow....my kind of food, I'll definitely be having a go at this! This looks beautiful as well as delicious! Wow.. look at the beauty.. Anyone would be tempted to grab a few pieces. Lovely recipe Nayna.